For some families, Christmas begins with hanging up an advent calendar filled with treats and festive activity ideas. The countdown to Christmas goes something like this . . .
Day 1: Here’s a chocolate kiss and today decorate your Christmas tree! Day 9: Here’s a candy cane and today watch a Christmas movie with your family! Day 14: Here’s a chocolate truffle and today blow your holiday budget! Wait. What? OK, so the temptation to spend more than you budgeted for this Christmas probably won’t come directly from your advent calendar. But the temptation will come! We want you to be ready. Below you’ll find four holiday budget busters and what you can do to stop them in their tracks. 1. The last-minute party invite. You know, the one where your sweet friend decides she can’t let all that garland-making and tree-trimming go to waste. So she gathers her favorite gals for a gift swap with no mention of a spending cap. How to beat this holiday budget buster: Try the straightforward approach. Thank the host for the invitation and ask if you can chat about the party. You might request a suggested spending amount or offer ideas for how you could enjoy hanging out without exchanging presents. You get a gift; you give a gift. That’s just how it goes. Unfortunately, sometimes a friend or coworker will give you a gift, but they’re not on your list. What’s a polite, etiquette-respecting person to do? How to beat this holiday budget buster: Make cookies! Mix up a big batch of monster cookies, brownies or snickerdoodles and package them together in sets of three. Make the rounds and deliver treats to all of your favorite-but-not-on-the-list people. 3. The old keeping up with the Christmas Joneses. Your brother spends $500 on each of his kids, so you do, too. Your neighbors go all out with lights and decorations, so you splurge on your own yard. Your coworker bought the boss an over-the-top gift, so now you feel like you need to do the same. How to beat this holiday budget buster: Imagine how you’ll feel in January. Will the extravagant gifts or gigantic electric bills be worth it once the holiday spirit subsides? Or will you wish you’d spent more reasonably so you can enjoy the year ahead? 4. The spirit of spending. Let’s just call it like it is. Spending money during the holiday season is fun. Swiping a card or handing over cash helps us feel more connected to the festivities. We’re grabbing gifts for ourselves, buying new Christmas decorations left and right, and splurging on holiday activities. How to beat this holiday budget buster: If you spend money to feel festive, look for other ways to get into the holiday spirit. Our preferred option? Service. Give your time to a local organization that blesses people in need during the Christmas season. There’s truly no better feeling. Haven’t made your Christmas budget yet? It’s not too late! 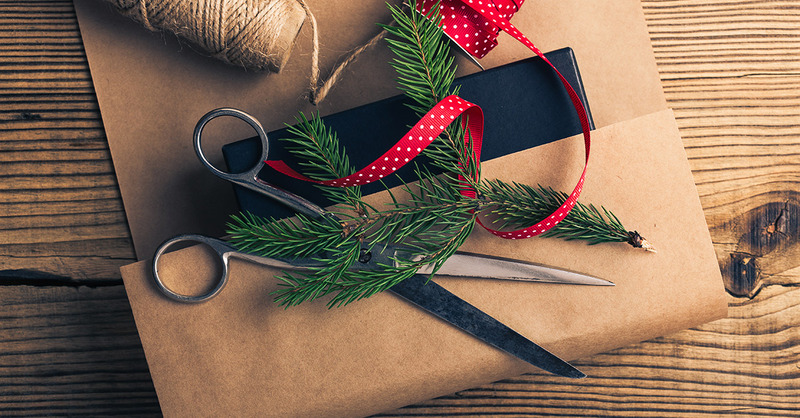 Get your spending on track by creating an EveryDollar Christmas budget today.